One of the wonders of the 3D printing boom is the innovation it brings to the medical field. 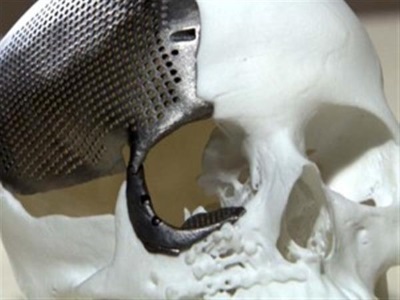 All over the world, scientists and doctors have used this technology to make the impossible possible in countless operations and medical breakthroughs such as the implantation of 3D printed titanium skull in a human head in Brazil. While revolutionary medical applications are constantly being developed through 3D printing technology, most of these life-saving achievements are taking place in academic hospitals in China and the West. Fortunately, doctors from the Brazilian medical hospital UNICAMP (Universidade Estadual de Campinas) in Campinas show that 3D printed medical applications are also being developed elsewhere. 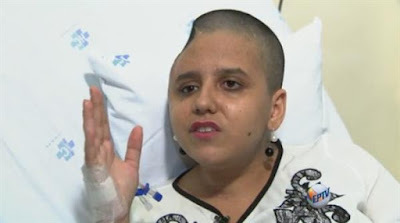 In their academic hospital in the greater São Paolo region, they have recently completed the first ever surgery involving a 3D printed titanium implant in Brazil. The patient in question was the 23-year-old student Jessica Cussioli, who needed a custom-made plate implant to rebuild her face. After suffering a homific motorcycle accident, Jessica Cussioli was left without a large portion of her skull. Neurosurgeons in Brazil have now come to the rescue by performing the country's first-ever transplant of a 3D-printed titanium skull. Fortunately, the ensuing surgery was a complete success, and just a week after the operation reporters found her optimistic in her hospital bed. ‘I want to go shopping! Finish my study at university, go on to a new life, with a new head. Everything is new,’ she said. Soon after this horrible accident happened, Jessica’s family looked into prosthesis options for rebuilding her face. However, these were are brutally expensive, with the figures going up to R $ 130,000 (or approximately $41,500 USD). As a last resort, they therefore began looking for alternative experimental procedures, and got into contact with the Hospital de Clinicas of UNICAMP, where they were experimenting with 3D printed titanium implants.